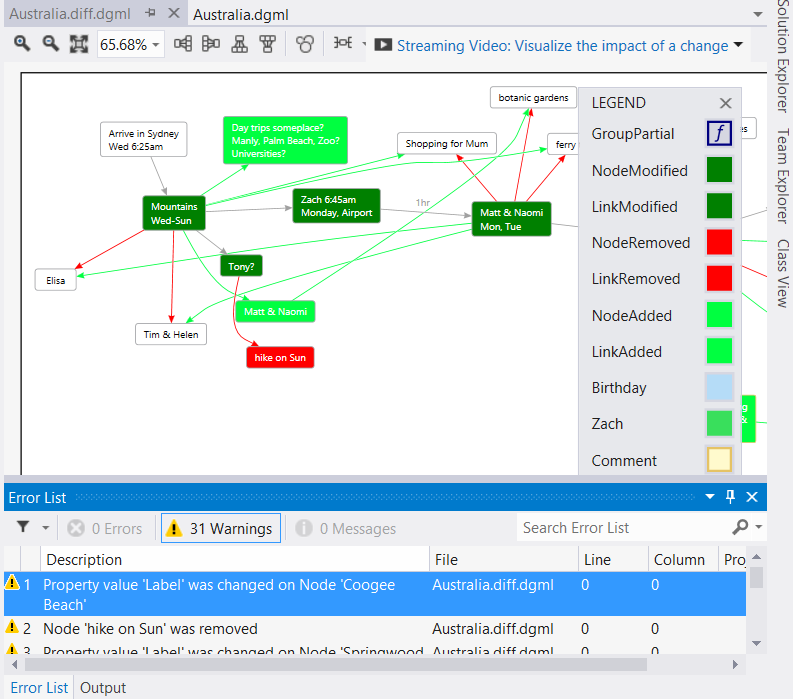 DGML Power Tools is a VSIX package for Visual Studio 2017 that adds a bunch of handy new DGML related features, including neighborhood and butterfly modes, export to SVG, Drag/Drop of images, Graph Diff, and filtering. 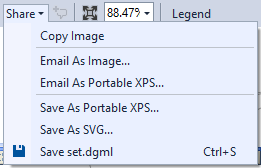 You will see the "Save as SVG" command in the Share menu on the Directed Graph Document toolbar. 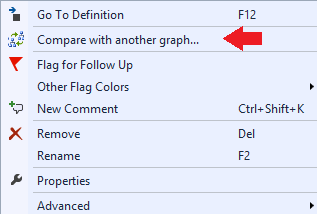 On the Directed Graph Document toolbar this command allows you to filter the graph to show only a specified number of degrees of freedom away from the selected node. If you move the selected node, click the button again to "recenter" the neighborhood on the new selection. To turn off neighborhood select the "Off" command inside the drop down menu next to the icon on the toolbar. 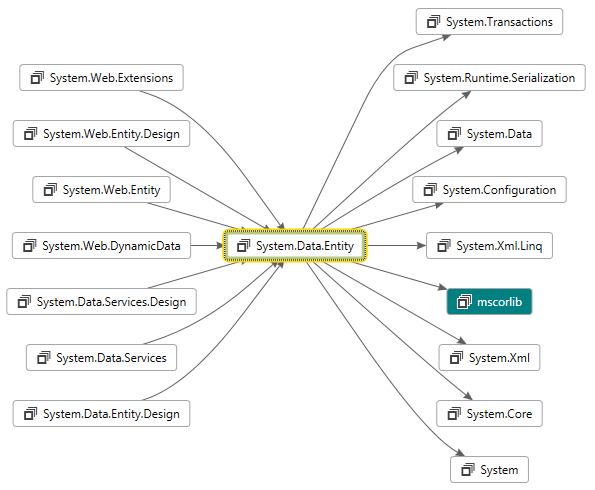 Notice the difference between the two graphs is that butterfly mode removed the cycles so you can see a clean picture of incoming and outgoing dependencies relative to the selected node. Butterly also ensures that the arrows flow in the same direction which makes seeing the dependencies a lot easier. Just note that in removing cycles there may be some missing circular dependencies which you won't discover until you move the center of the butterfly. 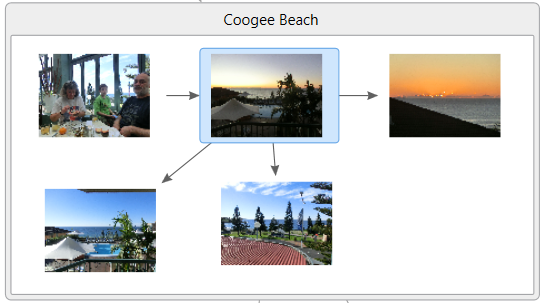 Simply drag images from Windows Explorer onto the canvas so you can wire them up with links and groups and quickly create some really nice looking diagrams. A new tool window that allows you to provide auto-grouping information. 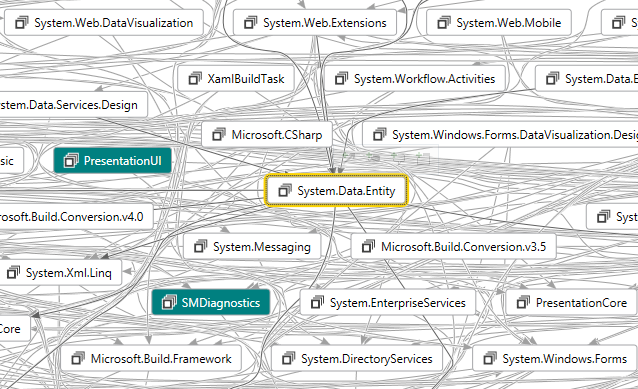 If you take the .NET Assemblies.dgml graph for example, and add the following grouping information in the DGML Filter View then click the "Apply Groups" button in the toolbar you will see a nice grouped view of the data. Note: use the number pad +/- keys to re-order the list (use TAB key to make sure list has the keyboard focus). 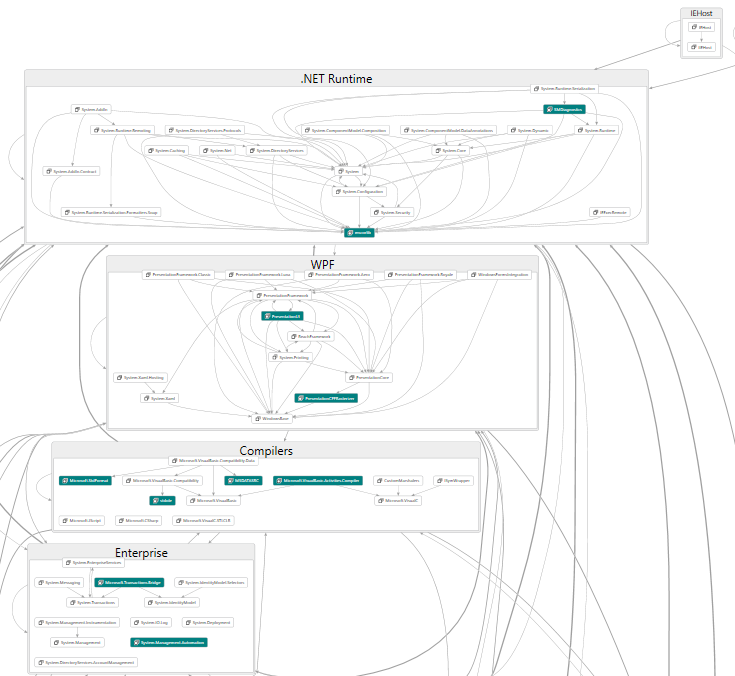 1.4 Add DGML Filter View for "auto-grouping" of complex graphs. 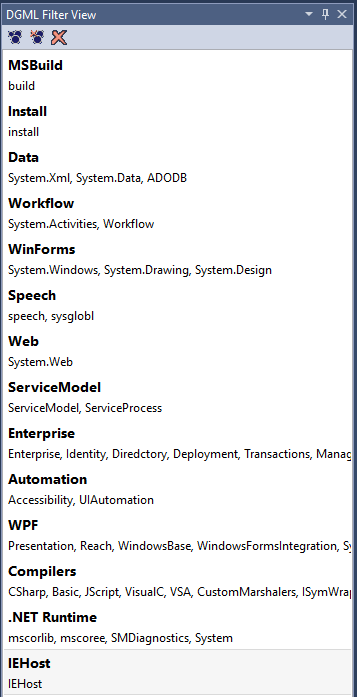 1.3 Upgrade to support VS 2013 and add butterfly mode.